I know in actuality, these spaces probably aren't the same - but wouldn't it be perfect if they were? The work space is sheer amazingness. 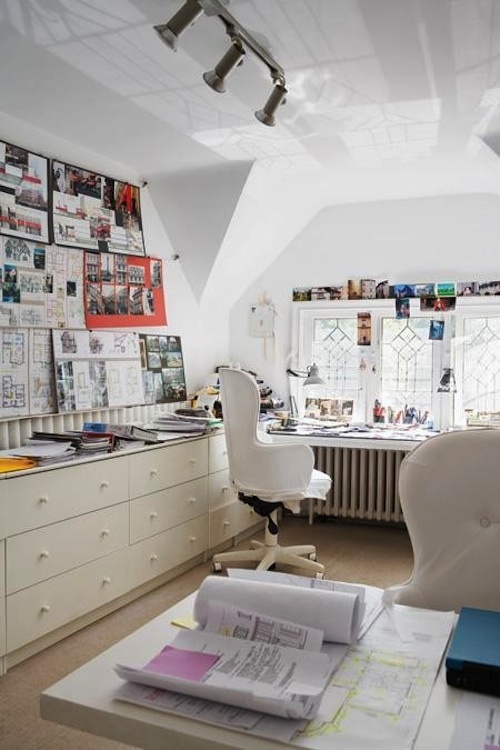 That insanely large inspiration board with all the light pouring in over the work space.. l-o-v-e it! Wouldn't this be the perfect place to take a little retreat from work? Just to sit down and get a little inspiration from some of your favorite magazines? You can't beat working with a view. Having a workspace like that would be insane! Would the creative ideas come easier?? This is gorgeous! 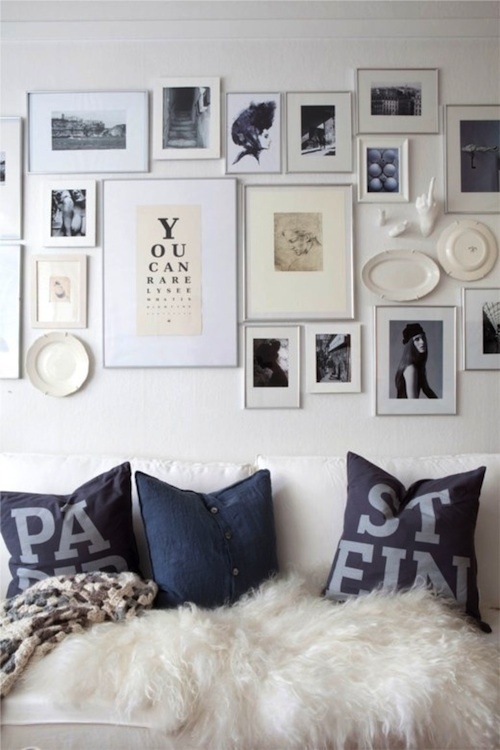 I really love that gallery wall. I love the pillows in the second pic! Lovely! Love the picture wall!! What a dream-y work area and sitting area! !